Some may dismiss interior lobby signage, saying it’s not required but it couldn’t be farther from the truth. No matter what business domain you’re in, first impressions count a lot. It’s vital to get it right on the front lines, and that’s exactly where lobby signage comes into the picture. A custom-made signage gives you the ideal opportunity to show your visitors what makes your business special, and helps you to build your brand. Instead of a bland office set up, a lobby signage helps you to establish your authority in your chosen field, and build trust in customers and visitors. Having an interior signage in your new office location in the right color or graphics can even act as a strong reminder of your company’s identity and create brand awareness. No wonder why businesses that matter opt for customized, high quality interior signs instead of standard, cookie-cutter varieties that fail to let them stand out. 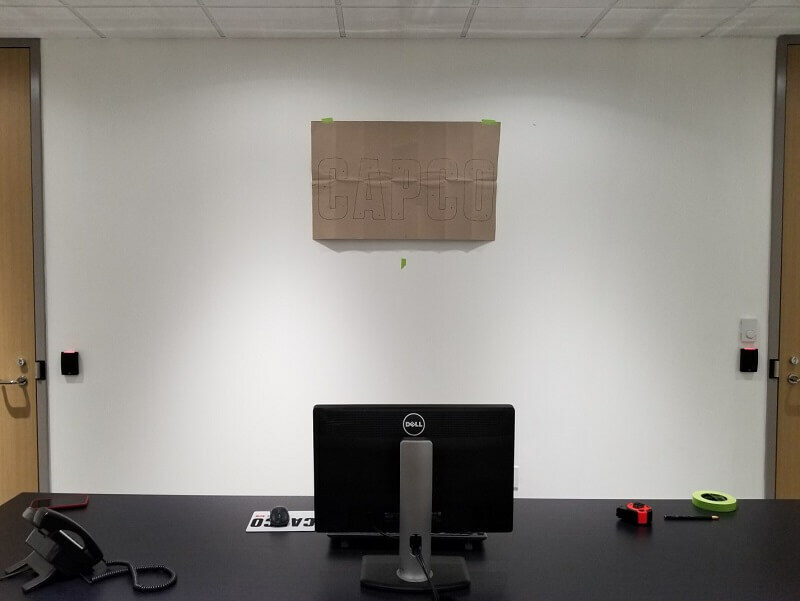 When Capco moved to its new office in Orlando, it needed a new sign. Citrus Sign Studio was entrusted with the job. This global management and technology consultant company operates in the financial services industry. The company helps its clients across Europe, USA, and Asia Pacific to successfully innovate, manage regulatory change and risk, boost revenue, enhance controls and reduce costs, thus empowering them to move forward. 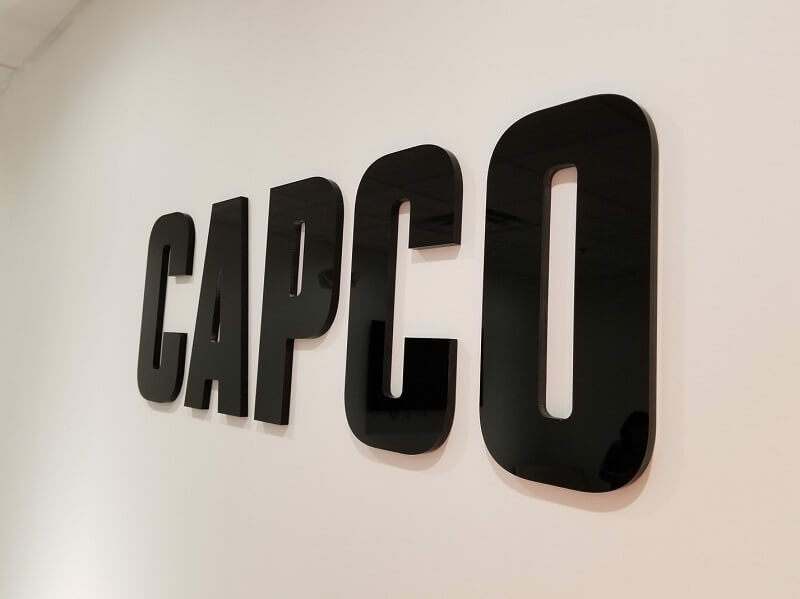 For its new office, Capco needed a lobby signage that resonates with its brand value, gives the space a professional feel, and contributes to visitors’ first impressions while reinforcing the brand. Capco needed a lobby signage that was much more beyond being just a mere wall decoration that looked nice. The company needed it to be minimal, practical and aesthetical. 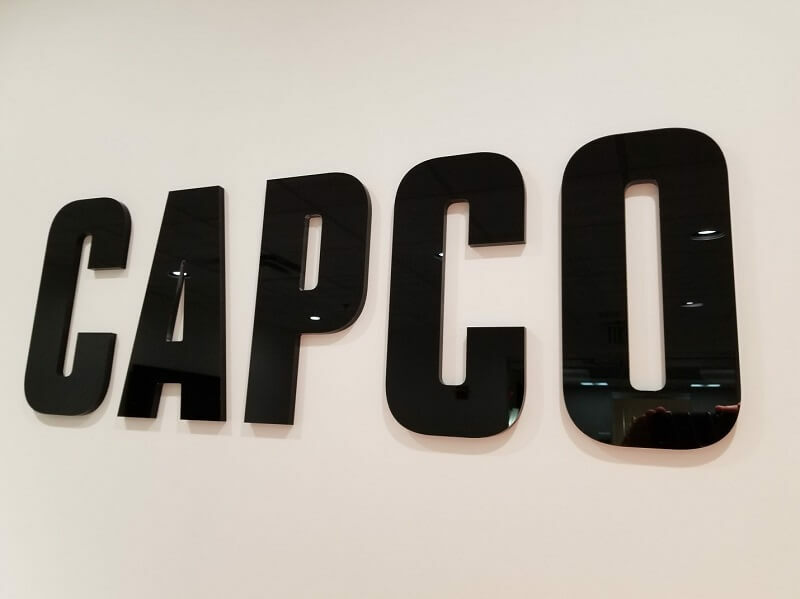 At the same time, the signage needed to reinforce Capco’s brand message as a whole, while imparting a robust presence and professionalism to the space. Through its strategically placed signs, the company wanted to remind its visitors where they were and send them all the right messages. 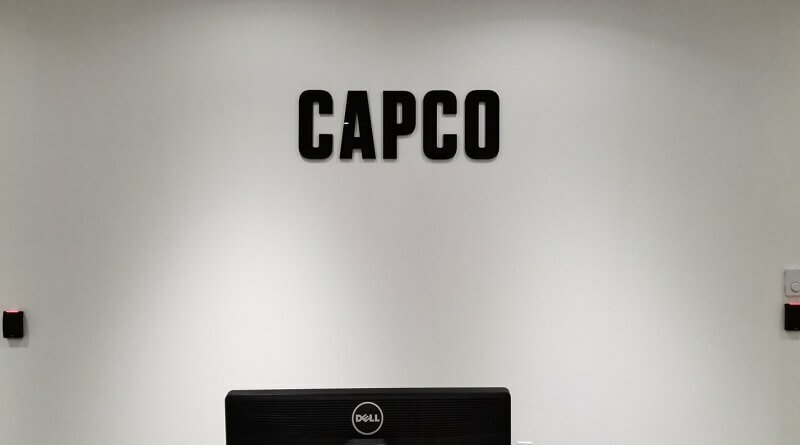 Based on this client brief, we designed a clean, minimal lobby signage for Capco in bright, big, bold capital letters in black that stood out against the white backdrop. We ensured proper utilization of indoor signage elements for the project as that would lead to an enhanced brand awareness along with better customer experience. After a rough sketch of the signage, which the client approved, we fabricated the wall graphic using our state-of-the-art equipment and professional expertise. Our adept installers took it from there to install the lobby signage for Capco’s new office in Orlando. We helped Capco create a professional atmosphere indoors that triggered emotions, strengthened its branding and had long-lasting impressions on visitors. If you too need a lobby signage to display your brand, or make your business stand out by showcasing your authority and instilling trust, Citrus Sign Studio can help just the way it has for Capco.